Valerie M. Little (B.M. ‘04) is a regular substitute violist with the Minnesota Orchestra, and also plays in the Minnesota Opera Orchestra and the Mill City String Quartet. The Mill City String Quartet recently received Prairie Lakes Regional Arts and Minnesota Legacy grants to perform throughout southern Minnesota in underserved arts communities. This season, the quartet was chosen as a “Class Notes” artist-in-residence by Minnesota Public Radio, and is spending the year performing a world music program for school children in southern Minnesota. Valerie began studying the viola in the Southern York County Public Schools with nationally recognized strings teacher Kathleen W. Yeater. She holds an undergraduate degree in music with minors in English and Theatre from Penn State, a master’s degree from the University of Texas, and a D.M.A. from the University of Minnesota. 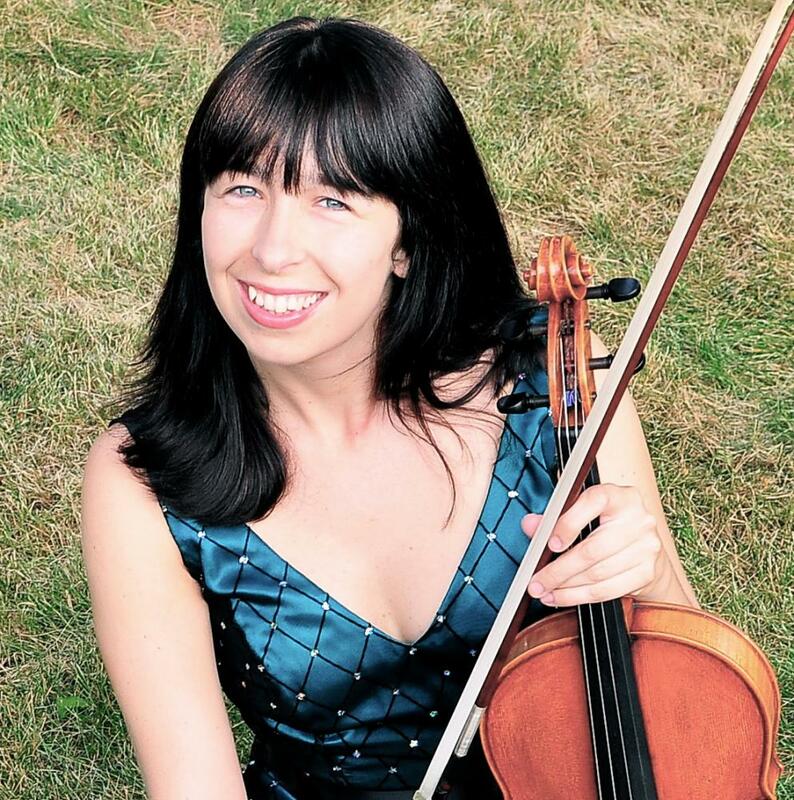 Combining her appreciation for contemporary works for the viola and literature, her doctoral thesis focused on the literary symbolism and storytelling in the viola concerti of Sally Beamish. Her principal teachers include Penn state professor Timothy Deighton, Roger Myers, and Korey Konkol. She has spent recent summers performing at the Banff Centre, Round Top Festival Institute, performing throughout Central America with the Youth Orchestra of the Americas, and studying the cello suites of J. S. Bach at festivals in Oberstdorf and Hamburg (Germany) with renowned violist Barbara Westphal. Notable solo performances include appearances with the York Symphony Orchestra (PA), Mankato Symphony Orchestra (MN), and performing Quincy Porter’s Suite for Viola Alone at the 38th International Viola Congress. In 2013, Valerie joined the Mill City String Quartet. As part of their “Class Notes” residency with Minnsota Public Radio, the quartet has been featured on-air performing Dvořák and Borodin quartets. She performs regularly with the Minnesota Orchestra and Minnesota Opera, and enjoys many freelance performances in the Twin Cities area. As a board member of the Minnesota Viola Society, Valerie has organized masterclasses for high school and collegiate violists, as well as recitals of lesser-known viola solo pieces and works for viola ensemble. She has also been a sectional coach and adjudicator for the Greater Twin Cities Youth Symphonies and the Minnesota Middle Level Honors Orchestra. When not performing, Valerie enjoys serving as acting assistant principal librarian for the Minnesota Orchestra, a position she has held since 2009. Throughout the Minnesota Orchestra’s much publicized lockout, she also served as personnel manager for the Musicians of the Minnesota Orchestra (MoMO), the musicians’ non-profit organization formed to continue presenting concerts to the community. MoMO continues to present popular educational concerts in area high schools, now known as Symphonic Adventures. Valerie resides in Minneapolis with her husband, John, and their two cats. She is also a children’s hospice and palliative care volunteer for Children’s Hospitals and Clinics of Minnesota.